Notes: Ex Braithwell Hoard.The Braithwell Hoard was discovered by a metal detectorist in South Yorkshire in 2002. 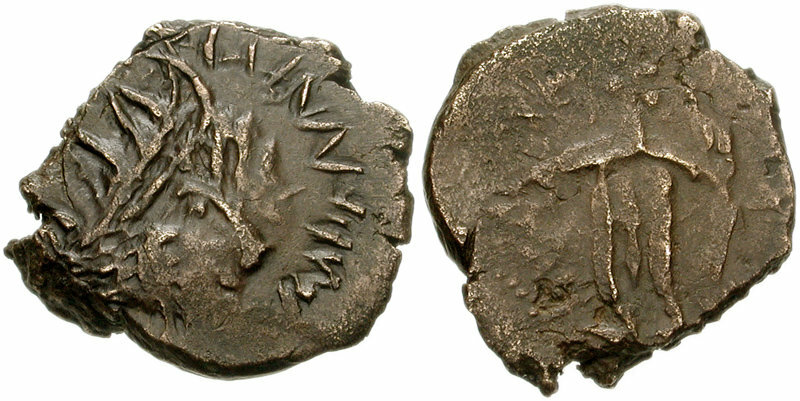 It contained 1331 antoniniani, with the earliest being a coin of Valerian's second issue at Rome, circa AD 254/5, and the latest a coin of Probus from his ninth, and final, issue of coins at Lugdunum (Lyon), dated by Bastien to AD 282. The vast majority of the hoard was composed of issues from the Romano-Gallic Empire, of which the issues of Tetricus I and II predominate. Richard Abdy and J.D. Hill have recorded the hoard, and will be publishing the full details in the near future.